Post-PhD Ramblings: What Is There to Remember? I was a bit concerned when my friend Shyam advised me to write about my PhD experiences for this month’s Choutari. Would it be worth a read? But, then, I remembered reading Philip Guo’s PhD Grind with my exhausted, empty mind post-defense. This little book, an account of a computer scientist’s six-year engagement in Stanford University PhD, had nearly inspired a memoir of my own six years in Kathmandu University. I remember reading a line from the acknowledgements page of a graduate thesis written for an American university. The author, with a visible sigh of relief, writes something like this: I thank my wife [Name] for not eloping with someone while I remained either engrossed in the writing or absent for library or field work. This is perhaps an ‘extreme’ feeling for a culture like ours, where you do not need to fear polygamy or elopement to result from such a pious mission as the PhD. But how you miss the family joy, and remain apprehensive of having become a nuisance to your own dear ones! I began one of my post-PhD talks with this quote I happened to read on Facebook, “Long time ago, people who sacrificed their sleep, family, food, laughter and other joys of life were called saints. Now they are called PhD students.” Someone asked me right away how I had grown through that supposed phase of sainthood. I said I had come out of a very ungenerous conviction that my own family was the biggest hurdle to my growth and that I sometimes felt like dumping everything away and starting the life of an ascetic. This is another extreme feeling one could ever speak to an eager audience. Yet, I do not aim to present a very personal experience, which might rather take the form of a grumble than a celebration of success. This is the real danger of post-defense rambling. I would rather love to foreground the aspect of learning and personal growth. People think PhD must have made me wiser. I have no desire to deny this. I take this opportunity to share what I consider worth sharing from my six-year engagement. PhD is an adventure marked with meeting many people – interested, disinterested, uninterested – and talking about your research. It is an anxious journey from the known to the unknown and back to the known. In such a process, I travelled to India five times. I presented papers at four international conferences. A couple of these travels were planned for meeting with Prof. Raman, my Supervisor from BITS-Pilani Goa. I travelled alone, with friends, with my better-half. Each travel involved some confusion, some excitement, some irritation, but gave enough impetus for further work. In the university, I taught English and communication skills integrating elements of classical rhetoric wherever possible. I made and taught syllabi for the courses in media studies and communication ensuring the inclusion of some useful aspects of rhetoric and discourse. I encouraged undergraduates to take up projects in rhetorical studies, and got about a dozen reports produced on representational themes. I spent hours downloading YouTube video lectures on communication, rhetoric, discourse, and critical discourse analysis. I spent hours on Facebook gossiping with friends about my progress, crafting statuses and posting notes. I ran at least five blogs, writing, editing and publishing diverse contents. I wrote poems, essays, memoirs and newspaper articles. When I look back at the bulk of the dissertation, its accompanying raw materials, the blog entries and the collection of poems and essays in English and Nepali, I feel that the six years with PhD were my life’s most creative period. PhD makes you develop a passion for listening and making others listen. My own main temptation was to talk if someone was there to put up with me. Dr. Adhikari, my supervisor from Nepal, would spend hours with me listening and talking things. Each time after I parted from him, I felt reinvigorated. A lot of new ideas would surge up and I would ramble a dozen pages forward no matter whether they made it to the dissertation or not. Then I would talk with my wife about my current epiphanies and progresses. I would explain to anyone my project if they showed a little curiosity to know how I was faring. There is greater pressure in the share of a scholar in English. You have the burden of the virtue of not committing grammatical and stylistic errors. Most often, you are others’ guru and friend so far as teaching these vital aspects of dissertation is considered your own pious, universal responsibility. You are your own guru and enemy. You know how to tutor yourself, and at the same time keep on accumulating pressure in the name of ensuring quality. I would take to my undergraduate and graduate classes any theory, method, tips on writing or speaking. That’s how the concept would matter to others and get registered and matured as valuable knowledge for myself. I must have scribbled the largest number of junks during the formative years. The junks were the most original things about my learning and experiences. They still look dearer than the 351-page ‘final’ dissertation. PhD gave me many good things, especially the readings that were useful to life if not to the dissertation and degree. The materials wait to be revisited, helped to mature and brought to their actual discourse community. They continue to claim to have been the degree’s legitimate offspring. I understand that the product of PhD (dissertation/thesis) is specific for a small discourse community. Not many people will and have to understand the work. Parts of it may come to a wider network of readers only if the writer opts to work beyond the degree either into a book or a journal article if only he or she is in or joins a university teaching position. Once your work is brought to the public, every literate person appears to believe and may sometimes brag that they could have done as good or even better if they had thought about doing what you have done. But you are the only person who did it. The work is unique. And you are your own reader. Your supervisor has read it, plus a few people in the evaluation committee. Except for five or six persons, the product may have only a very small audience in the future. I am sure not more than half a dozen people have read my thesis. I only hope some people will read part of it if they happen to work on an identical topic. Else, as far as the saying of many goes, it will remain proudly at a corner accumulating dust – for ages. What do you find out, or develop out of half-a-dozen years’ straining? Perhaps, you create knowledge, or a perspective. Or you have uttered a popular idea in a more interesting and philosophical way. Someone else can give equal scholarly hue and worth to similar task later. But for the moment yours has got qualified, it is the only work on earth that can claim novelty if it is novel. Nevertheless, the dissertation is not out to change the world, neither the degree it brings, but you are. You are at least expected to initiate some kind of change. The people from your scholarly network may read you and try to make a difference. You have not closed the lid for new perspectives. You cannot do so. You only transfer one perspective to your community and hint at new avenues of reflection. If one PhD ended all possibilities, we would have been mugging up stale thoughts and moth-eaten books and none would ever think of sweating for three to six years. The hard-bound black book is only a signifier that a section of the work in continuum has taken a tangible shape. Every dissertation is in the making. It is just a beginning. A ‘finalized’ work has several other works ingrained in it. Only some curious and profoundly informed scholar can interpret the text and nourish its discursive embryo into one or more useful births later. The continuum exists. A scholar in discourse lives in this continuum. 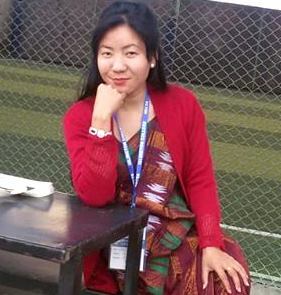 The author: Dr. Kafle is an assistant professor and coordinator at humanities and management unit, school of engineering, Kathmandu University Nepal.